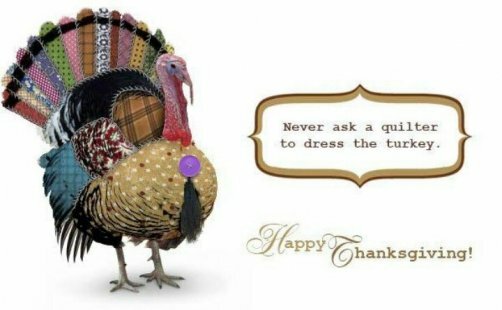 A very Happy Thanksgiving to everyone from all of us at Deer Country Quilts! Black Friday and Beyond Sale! We will have all of our Christmas fabric on sale at 25% off beginning this Friday through Monday, November 27-30! This will also apply to our online store as well. All of the fabric in the Holiday department will already be discounted 25% online. These projects are especially designed to be made in less than a day and are perfect for those extra little gifts to make someone's holiday just a little more brighter! 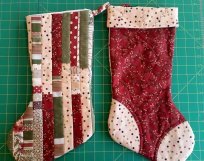 These stockings are certainly cute and easy to make! 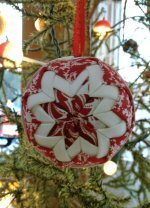 and you will have an instant holiday decoration or gift! 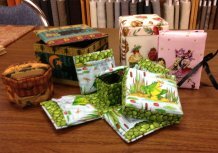 Christmas fabric and add treats of any kind and give as gifts. any fabric for any occasion! 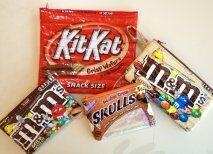 think of a better excuse to buy candy! 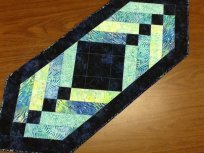 If you are looking for a no sew option, this class is for you! 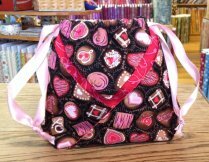 with fabric and you have a great gift for a fellow quilter.